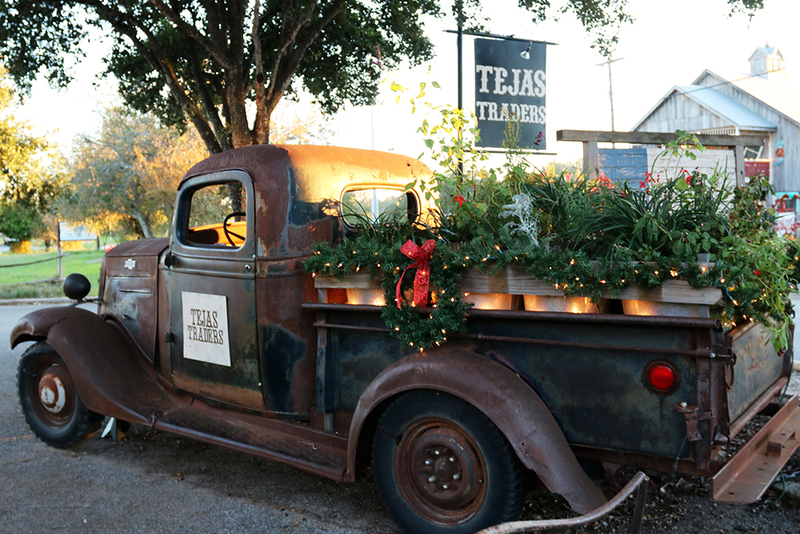 If you've read my 10 Things To Do In Gruene Texas post, then you already know it's one of my favorite small towns in the entire state of Texas. A visit during the holiday season is an absolute must! 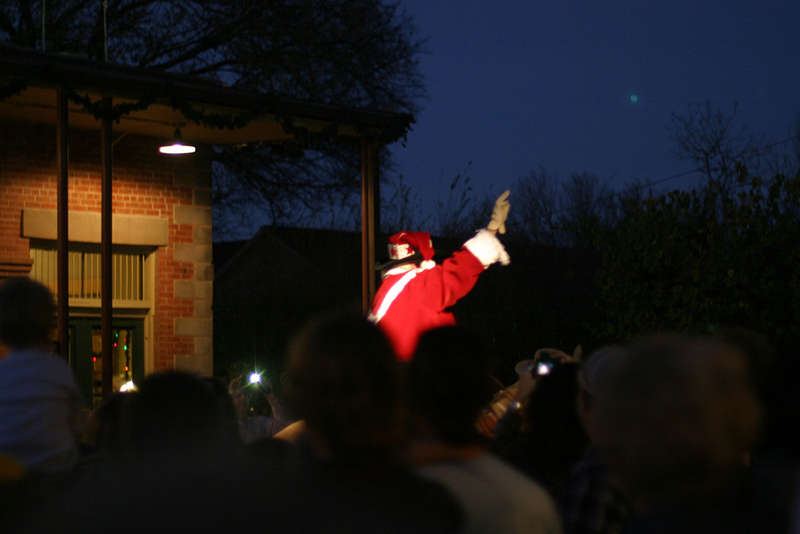 Here's a complete guide to the holidays in Gruene Texas. If you find this guide to Gruene during the holiday season helpful, please share it on Pinterest! The most important date to note this year is Saturday, December 1, 2018, because that's the day of the Gruene Town Lighting. If you can only pick one day to visit Gruene all year, this is my top suggestion. It's crowded, but so worth it because the entire town gets into the holiday spirit. 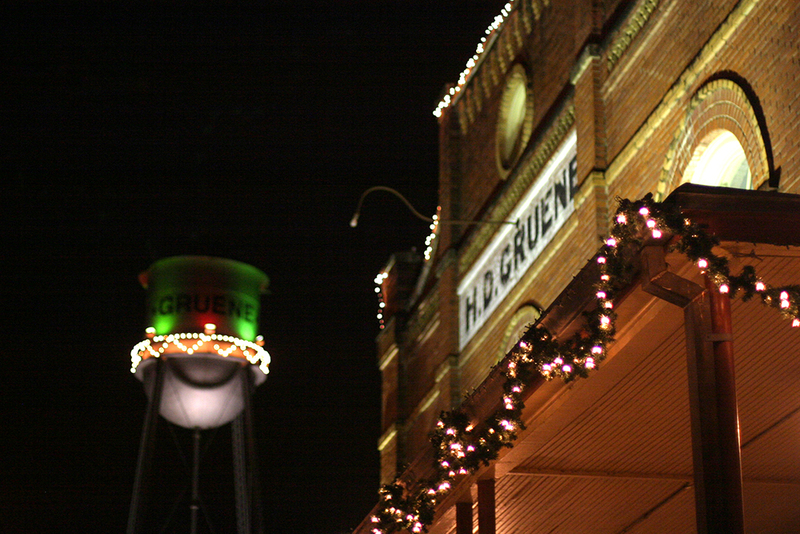 The picturesque town of Gruene — all dressed up and ready for the holidays. The day begins with the 18th Annual Gruene Pony Express Ride, where relay riders on horseback deliver a message of Christmas cheer straight from the Governor of Texas. The town sets up a makeshift post office next to Gruene Outfitters, and you can mail all of your Christmas cards from there. They'll be cancelled with the special 2018 Gruene commemorative stamp. Once you've mailed your Christmas cards, I suggest grabbing an early lunch at The Gristmill. The lines will be longer than usual on this particular day, and they don't take reservations, so get there right when they open. Trust me when I say the restaurant is packed for a good reason! The food is incredible! If you miss them for lunch, try again for dinner. I love the warm atmosphere of The Gristmill. Grab a spot near one of the oversized fireplaces if you happen to be there on a rare chilly day in Texas. After lunch, there's a special one-man live theater showing of Charles Dickens' classic tale, A Christmas Carol. The actor does an amazing job of acting out the story! I hope it's the same actor this year that it has been in years past. He does quick costume changes and acts out the role of each of the famous characters — from Tiny Tim to Scrooge — and is so entertaining. Once you've watched the show and are full of wine, you probably won't want to wander too far off. I suggest letting the kids have their pictures taken with Cowboy Kringle. Look for him in the breezeway right next door to The Grapevine. The photos aren't very expensive, and you'll receive a flash drive to take them home immediately. Next, stroll around town to enjoy the sights and perhaps do a little Christmas shopping at a few of the amazing stores in town! You can pick up a wide variety of unique gifts for almost anyone on your list in Gruene. The tents of Old Gruene Market Days will be set up for the weekend, you can shop all of my old favorites along the main two streets in Old Gruene, or you can head off to visit the newer section known as Gruene Lake Village. Be sure to print out Kringle Cash coupons before you go to save money on your purchases!! 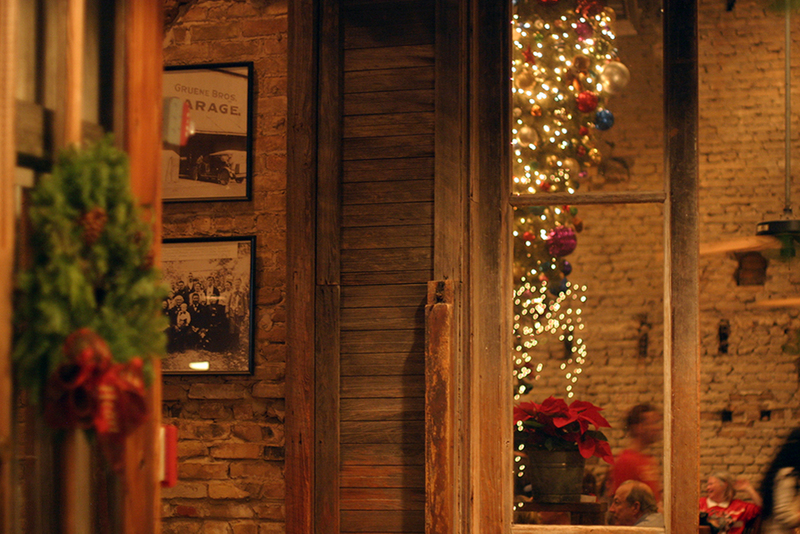 The shops in Gruene typically close around 6, but on this particular night many offer extended hours. 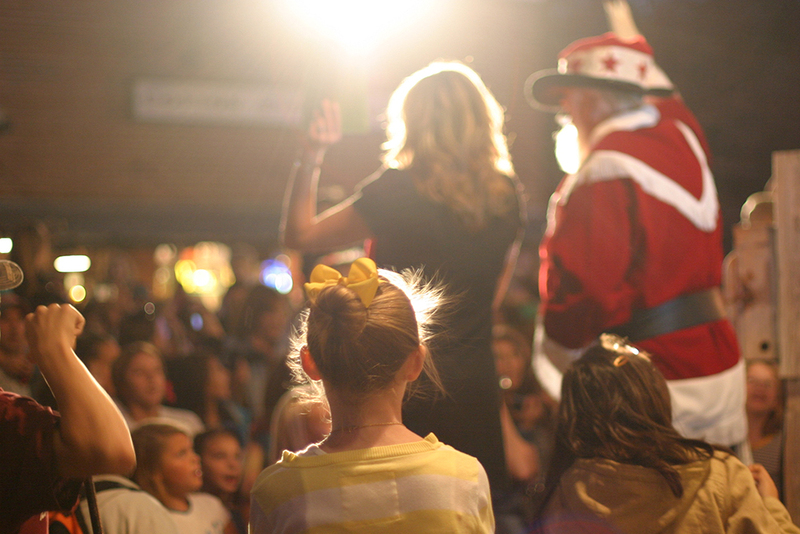 Make sure you head back over to Hunter Road around 4:30 because you'll want to grab a prime spot to watch Cowboy Kringle when he flips the switch to light up the town. Around 5:00, Cowboy Kringle rides his horse down Hunter Road towards Gruene Hall. He probably begins somewhere near the entrance to New Braunfels Street, but I admit I've never actually looked to see exactly where he starts. I am always waiting at the end to greet him. Families line Hunter Road on both sides to wave at him as he passes by. Most fall in line behind him to follow him towards Gruene Hall. Cowboy Kringle waves to the crowd as he passes by on his horse. 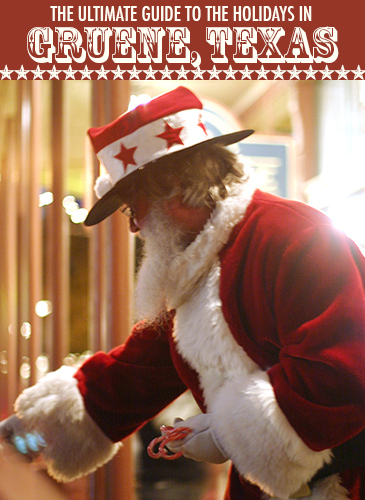 Once he gets to the end of Hunter Road (near Gruene Hall), Cowboy Kringle stops at the Gruene Antique Company. (That's where he stopped in years past, at least.) That's my best secret that I'm giving away today!! 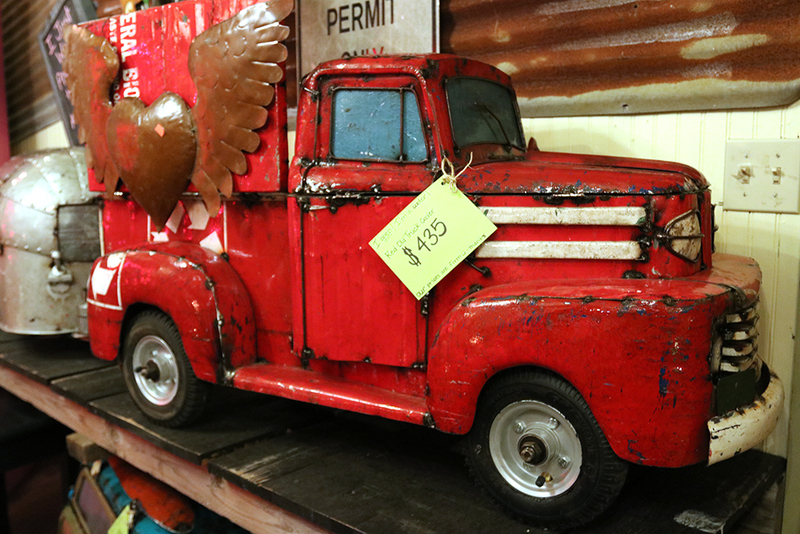 Grab a spot early at Gruene Antique Company if you want to score amazing close-up of him. 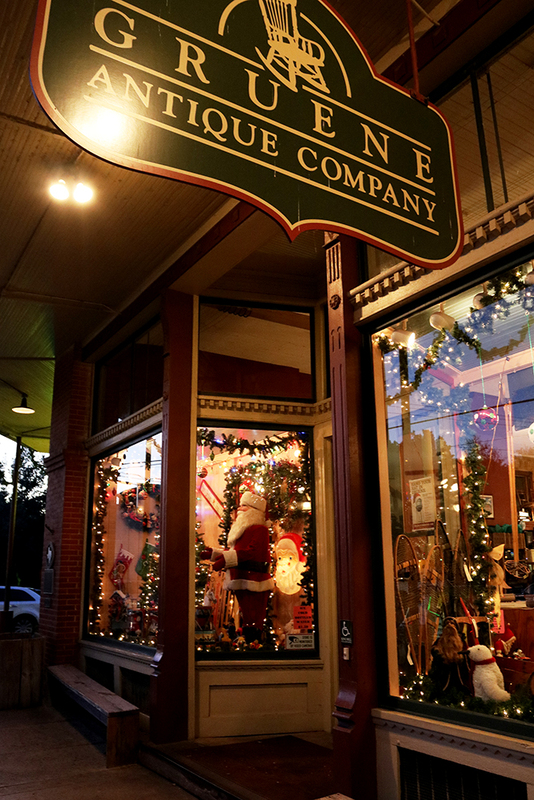 Grab a spot on a bench under the Gruene Antique Company sign and wait for Cowboy Kringle to arrive. The host will grab the mic and introduce Cowboy Kringle to the crowd. He'll say a hearty “Ho, Ho, Ho!” and then will request that everyone begin counting down with him. Finally, he'll flip a switch and all of the buildings in town will light up at the same time! It's so magical! All of the kids (and some of the adults) gasp in wonder when the town lights up. Daisy and the rest of the crowd wait with anticipation for Cowboy Kringle to flip the magic switch and then hand out candy canes to all the kids. Click on any photo to view it larger. Cowboy Kringle greets all of the kids and he passes out mini candy canes to anyone who wants one. You can take pictures of him, but he doesn't typically stand around and take photos with each person in the crowd because there are so many people in attendance. (That's why you need to arrive early and grab a good spot!) The lighting is great and he's a very photogenic Santa, so definitely snap a couple pics. Merry Christmas from Gruene, Texas! Gruene Mansion Inn B&B – This is a charming white Victorian style Bed & Breakfast. It's in the center of historic downtown, and is only steps away from Gruene Hall and The Gristmill restaurant. They have free wifi, a complimentary continental breakfast, and free parking. 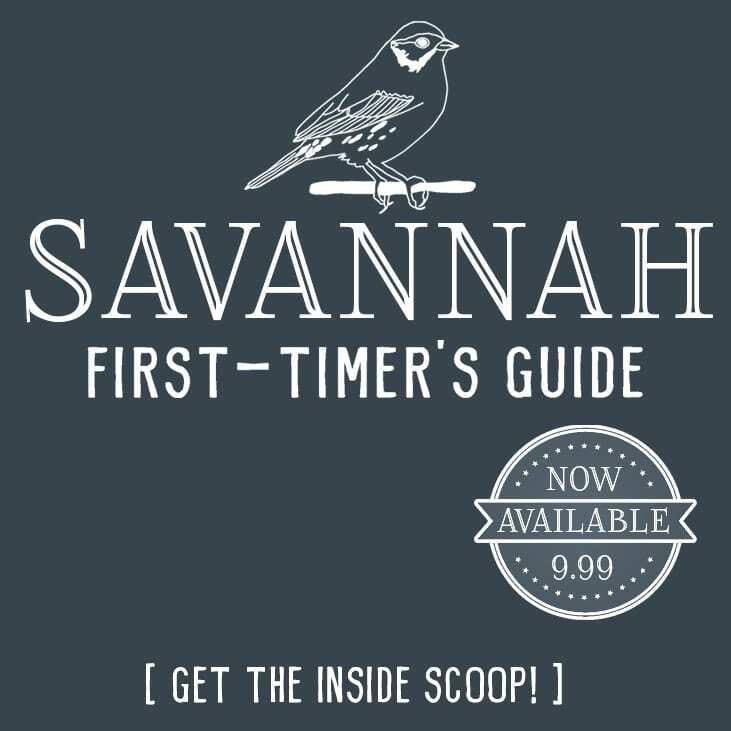 It's ranked #1 on TripAdvisor! Gruene Homestead Inn – If you prefer to stay on the outskirts of town, this is a good option. It's not a hotel, but rather a collection of small farm homes located on an authentic German homestead. If you love nature and want to relax on a rocking chair while enjoying the beautiful Texas scenery, it's a good fit. They also have free wifi, a complimentary continental breakfast, and free parking. TIP: Be sure to book early, because Gruene is a very small town and the best spots fill up months in advance for this particular weekend! If you're flying into the area, it's equally as easy to fly into San Antonio International (SAT) or Austin (AUS), then drive a rental car to Gruene. If the rates are no different, I'd suggest SAT since it's about 20 minutes closer. Don't forget to check out the calendar for Gruene Hall and purchase tickets early if you want to catch a live show that night. Please let me know in the comments if you have any questions. 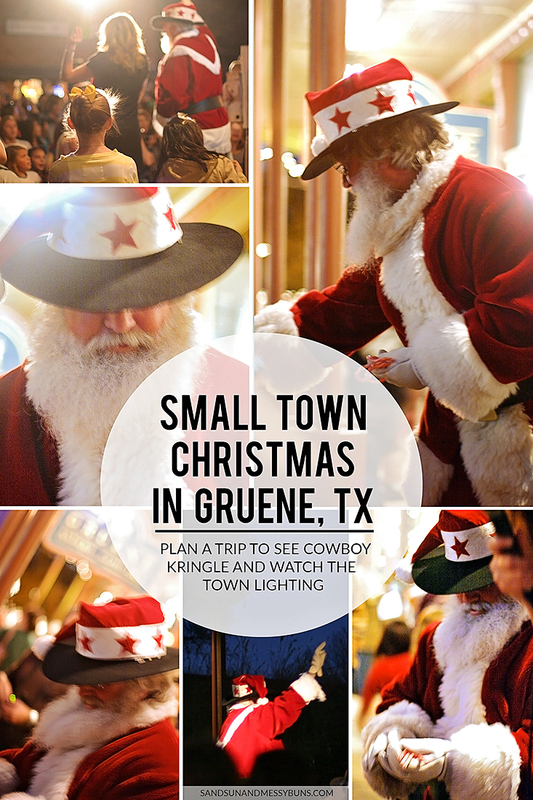 Have a great time, and enjoy the holidays in Gruene TX — the best small-town Christmas around! I’ve had never heard of Gruene, TX before this post- it looks absolutely magical!! It is! Especially during the holidays. Definitely worth a visit. Loved the photo essay! Small town Christmas is the best, IMO!